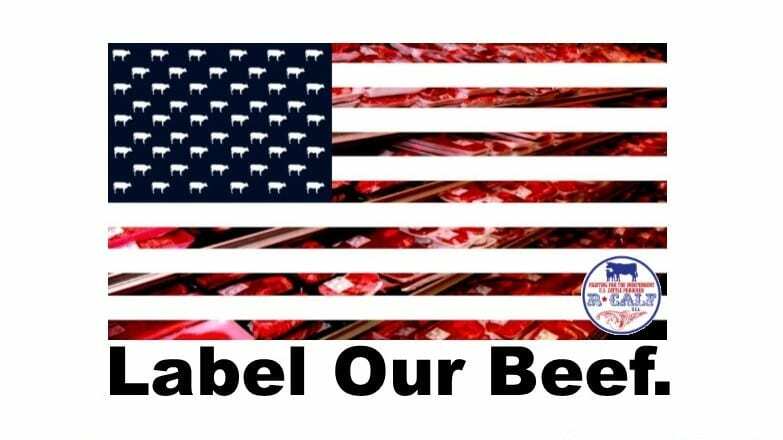 In 2015 Congress voted to end the requirement that meat labels have to tell us where the meat is from. Americans can no longer choose to buy American beef or pork unless country-of-origin labeling (COOL) is restored. Hundreds of millions of pounds of imported beef is being mislabeled as “Products of the USA”. The United States economy suffers a $13.6 billion annual loss to its largest sector of American agriculture: cattle. This is our national grassroots campaign to raise awareness for executive action to bring back COOL for beef in order to support America’s cattle farmers and ranchers. Founded in 1998 by a handful of independent cattle producers, R-CALF USA quickly became the national voice of America’s independent cattle producer. We are the nation’s largest producer-only trade association representing the U.S. cattle industry. Our mission is to ensure the continued profitability and independence of United States cattle producers. We’re the ones who led the victory to get the country-of-origin labeling law (COOL) passed before it was repealed. Since COOL was repealed, we have been working on behalf of U.S. independent cattle producers and consumers to bring back the COOL law including taking the U.S. Dept. of Agriculture to court. The court found that U.S. independent beef producers are harmed by lack of COOL, however the court said that it couldn’t do anything to aid ranchers; that it requires executive or legislative action. That is why we are building this campaign. Donate now and we will send you COOL updates including your own bring back COOL message to personalize and send to President Trump. Immediately after Donald Trump was elected president, he stated he would stand up for American farmers and ranchers by reinstating COOL. Your donation will help us show the new administration that the public remembers the president’s commitments and we demand a government for the people and not just for multinational agribusinesses. All donations over $50 include either a voting membership or an associate membership. 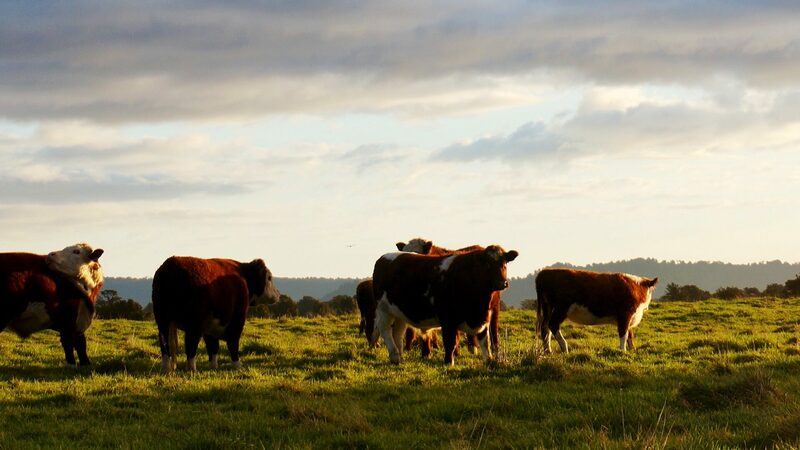 Voting members own cattle and associate members do not own cattle but they do buy beef and want to choose to buy USA -born, -raised and -harvested beef. R-CALF USA is funded entirely by membership dues and donations. Thank you for joining the fight. On May 9, 2018 Fox News conservative political commentator Tomi Lahren called on President Trump to reinstate country of origin labels for beef in her popular segment, “Final Thoughts” that aired on Fox News Insider. Tomi’s video received well over 1,000,000 views on Facebook alone. Two weeks after Congress repealed COOL, American comedian and HBO political talk show host Bill Maher, on his late night HBO show Real Time, called out COOL deregulators for shielding corporations at the expense of consumers. Maher’s video has more than 890,000 views on YouTube. HBO comedic anchorman Jon Oliver used his late night television show Last Week Tonight to take on the poultry industry. Oliver’s 18-minute segment “Beef with Chickens” that aired on HBO received over 9.2 million views. Oliver explains, in layman’s terms, how the once independent and profitable poultry industry is now controlled by multi-national agribusiness. According to a study, 71% of poultry farmers live at or below the poverty line. The only reason these same multi-national agribusinesses have not yet captured the U.S. live cattle industry is because independent U.S. cattle producers have been fighting back to preserve their independence and livelihood. We are asking you to join our fight today! Join The Fight: Donate Now! Donate secure online via orange links above or form below; by phone at (406) 252-2516; or by mail payable to COOL % R-CALF USA, PO Box 30715, Billings, MT 59107.